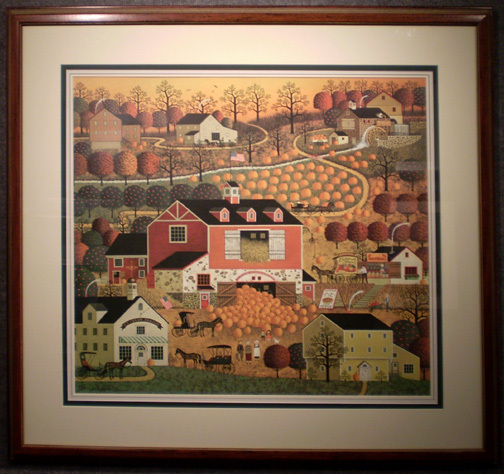 Limited edition signed and numbered lithograph on paper by Charles Wysocki. With framing, ready to hang. Image size: 25 x 22 in. Framed size: 35 x 32 in. Beautiful lithograph by the well-loved artist of Americana. One only at this incredible, Inventory Reduction pricing.